Corona, California (January 6, 2017) – A 10-round battle for the championship, two lucrative special events and four dates combining the West Coast's top touring divisions are the highlights of the 2017 schedule for the Lucas Oil Modified Series. It begins February 11 with the third Winter Showdown on the ultra-fast half-mile oval at Kern County Raceway Park in Bakersfield, California, and ends with the traditional West Coast Short Track Championships at The Bullring at Las Vegas (Nevada) Motor Speedway November 18. Those special events, two of the four in which the exciting open-wheel Modifieds will share headline status with the SRL Southwest Tour's Super Late Models, are the bookends for the 10 races that will determine the series' Hoosier Tire West points champion. Those 10 races will take the series back to the eight tracks in four states that produced the closest points race in the series' 11-year history in 2016. A record eight different drivers had parked in the winner's circle and the points lead had changed hands a record four times before Lakeside, California's, Matthew Hicks emerged with a 4-point win over Taylor Miinch, with Scott Winters 10 points back in third. The smallest winning margin previously had been the 12 points that separated champion Jim Mardis and runner-up Austin Barnes in 2011. "We're looking forward to another extremely competitive season," series promoter Greg Scheidecker said. "We think the tracks in our series offer the most varied racing you'll find in any touring series and the results would seem to indicate it's also the best racing you'll find. That's ultimately a tribute to our drivers and teams, of course, but we've tried to help them as much as possible by maintaining continuity and familiarity. "The dates of this year's races almost mirror last year's, but we have changed the track rotation a little. One reason for that was so we could say yes to the opportunity to headline the show at Kern County on the weekend before the Fourth of July, and we had to make a change at Orange Show Speedway. We've moved that race two weeks later, to September 23, because of a date conflict with the National Orange Show that would have impacted our race teams and fans. "Changing the date there means we'll close the regular season with three events in five weeks. That's asking a lot of our teams, but they've shown over and over that they're the best around. It definitely will add some drama to those last three races." Race distances, purses and other details will be announced when they are finalized. Bakersfield, CA – The 3rd Annual Winter Showdown at Kern County Raceway in Bakersfield, California will once again feature a $5,000 to win event for Modifieds. The nationally televised Winter Showdown, is the “Richest Short Track Race in the Nation” with over $150,000 in prize money for Super Late Models and Tour Cars, draws the top Super Late Model drivers in the country, including two-time event winner Bubba Pollard from Senoia, Georgia and west coast standout Derek Thorn. The Modified race will open the Saturday night, February 11, 2017, card with a 50 lap shootout at the state-of-the-art California half-mile oval, billed as the “Spray Nine 50”. The Modifieds will be followed by the 250 lap $30K to win Winter Showdown. 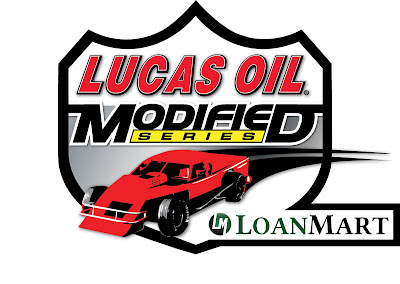 The Modifieds will once again be officiated by the staff of the Lucas Oil Modified Series. The 3rd Annual Winter Showdown is set for February 9-11, 2017. For rules and additional Modified information contact Greg Scheidecker at greg@lucasoil.com, for more Winter Showdown information go to www.srlsouthwesttour.com or contact the SRL office at 661-679-4681. 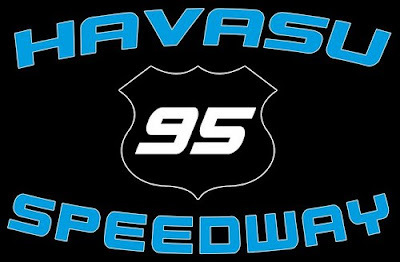 Following a break for the holidays last month, the Havasu 95 Speedway will launch the second half of their 2016 - 2017 winter racing series this Saturday afternoon. The famed quarter mile paved oval is located within the SARA Park complex in beautiful Lake Havasu City, Arizona. Due to the still chilly night time temperatures, Saturday's race will be a daytime event. The spectator gates will open at 12 noon with the green flag falling on the racing at 2pm. In typical fashion, Promoter Bill Rozhon and his staff will be starting the second half of their winter series in a very strong manner. Highlighting the racing excitement will be the Late Model division who will be treating the fans to twin, 50 lap, main events. Also providing racing excitement will be the Office Cocktail Lounge Bandoleros and the Sam Nichols Electric Factory Stocks. The afternoon is going to conclude with Rozhon's favorite form of racing fun when his speedway presents the first of two scheduled waterless boat races. All of this racing fun is being sponsored by the Eagles Lodge, Aerie 4299, along with Champion Watercraft Rentals. Fans are also invited to meet at the speedway's beer garden for a special happy hour, 12 to 130pm, where draft beers will be sold for $2. The Late Model division will be making their second appearance of the season meaning their points standings are based on race number one held during Thanksgiving weekend. Jeff Peterson won that race, and the points lead, followed by Zack St Onge, Mark Allison, Ryan Vargas and Barry Karr. With double points on the line, from the twin 50 lap mains, the Late Model show is expected to become extremely intense. When the fans watch the racing provided by the youngsters from the Office Cocktail Lounge Bandoleros, they will be looking at the future stars of tomorrow. This extremely well organized program includes the opportunity for national points for divers from age six to early teen years. The sight of a six year old, during a victory lane interview, thanking his parents and grand parents for supporting his racing, is heart warming. The Bandoleros will be making their ninth appearance of the winter season at the Havasu 95 this Saturday. afternoon. The big question here is: who can stop the dominance of driver Taylor Whitefield? In eight starts this young driver has compiled four feature wins and four second place finishes. However, Whitefield will have to keep driver Korbin Mitchell in his rear view mirror this Saturday. Mitchell has three feature wins, and eight top five finishes, and is only 12 points out of first place. Aiden McCorkle is ranked third in the standings, with a consistent eight top fives, 24 points out of first. It would not seem like race day at this speedway without the presence of the fan favorite Sam Nichols Electric Factory Stock teams. Jeff Prieur has been the division's hot shoe so far. In five previous starts he has accumulated three feature wins, two runner up finishes and 253 championship points. However, Chris Blackwell remains within striking distance in second 17 points out of first based on his consistent five top five finishes. The day concludes with Bill Rozhon's fun loving waterless boat race. The unique format calls for fishing boats, minus their trailers, being attached to race cars and being drug around the race track. The object involves a driver ramming their cars into a competitor's boat in an attempt to separate the boat from the car. The last car on the track with the boat still attached is the grand prize winner. The result is often boat carnage that resembles a bad day at "Gilligan's Island" complete with the comedy. Tickets for the fully loaded Saturday afternoon are very budget friendly. General admission tickets, age 17 up, are only $12 and $10 for seniors, military personnel and the handicapped. Kids tickets, age 6 to 16, are only $6. The speedway also offers a budget friendly family pack for $25 which admits two adults and two kids age 6 to 16. Fans can also enjoy the special amenities of the speedway's VIP section, featuring the best seats in the house, for $25. For more information, regarding the winter racing series, dial up the official website, www.havasu95speedway.com, and visit their Facebook page. Salt Lake City, UT (January 5, 2017)-For the first time in history, the West Coast’s top-two Super Late Model series will come together for racing’s version of the Civil War. They will converge on Rocky Mountain Raceways (RMR) in West Valley, Utah for the $10,000 to win “Retro Custom Metals 150” as part of a 26-car line-up. The 150-lap race is scheduled for Saturday, September 2. As part of RMR’s Labor Day Weekend festivities, this event will be a championship points paying event for each series. The race will have a halfway break to allow the teams to re-fuel and make adjustments. It will be a four-tire race, in which each team will qualify and race the entire main event on the same four tires. Guaranteed to start the event will be the top-10 drivers in the championship standings of the SPEARS (SRL) Southwest Tour Series and the Northwest Super Late Model Series. Single car qualifying, and the last chance-qualifying race will set the startling line up and the balance of the field. Friday, September 1st will be an exclusive practice day for the Super Late Model teams in preparation for the Saturday night event. This historic event at the beautiful 3/8 mile will also feature Modifieds, Super Stocks, Pro 4 Bangers and Jr. Stingers. About the SPEARS Southwest Tour Series: Celebrating its seventeenth season in 2017, the SPEARS Southwest Tour Series is a regional stock car series competing on paved ovals in the southwestern portion of the U.S. http://www.srlsouthwesttour.com. “The SPEARS Southwest Tour Series…Where the Champions Race”. Christmas 2016 came early for the management, staff and fans of the Irwindale Event Center, (IEC), with the announcement that said there is going to be a 2017, fully loaded, racing season the famed track located in Irwindale, CA. The incredible news came at a time when the track was condemned to execution by bulldozer, set for July of 2016, to prepare the way for a shopping mall. The news, regarding the IEC's 2017 season, came in late October via a press release fro Jim Cohen, IEC President and CEO, who announced that the track would be scheduling a full 2017 season for their NASCAR sanctioned stock car racing on their oval tracks, the NHRA sanctioned drag strip as well as the LA Racing Experience and Advanced Driving Dynamics. "Everyone here on the IEC team are very pleased that we've been able to make this announcement today," said Cohen. "We will be continuing with our Thursday Night Drags, NASCAR Whelen All American Series and Nights Of Destruction, along with special events such as the NASCAR K&N Pro Series West, Hot VW Drags Day, the NHRA Summit Series, Truckin' For Kids, Formula Drift Championship and Mooneyes all being presented on their traditional calendar dates." The end of racing at the IEC dates back to 2013 when it was announced that the Lindom Company, a real estate investment firm, had purchased the 63 acre site occupied by the IEC with the intent to build a 700,000 square foot shopping mall. The Lindom announcement further stated they expected to break ground and start construction on the project in July of 2016. Now under the working title of Irwindale Outlet Partners LLC, The Irwindale City Council made very quick work of approving the project's development plans, and necessary permits, during the course of one meeting. It's considered to be very rare for this process to garner approval so quickly, a fact that did not escape the notice of audience observers. However, in all fairness, it's important to consider the fact that this project represented a win - win scenario for the city at a time when the trickle down effect of California's budget woes was creating financial havoc on its cities. The Irwindale City Council's first obligation is to the city they represent and the residents who live there. It was perfectly understandable that the Council was going to make quick work of approving a project that was going to create approximately 2,000 jobs along with an estimated annual sales tax revenue of $2.6 million per year. At the beginning of 2016 the IEC prepared a partial schedule, through the month of July, anticipating the start of construction of the outlet mall. The first of two surprises came when Outlet Partners LLC informed the IEC they could go ahead and run a full 2016 racing season. The second surprise came when the IEC learned they would be allowed to schedule a full 2017 season. Throughout this long process Outlet Partners LLC made it clear that they would not dismantle the track, and start construction on the mall, until they had signed leases from retailers to occupy at least 65 percent of the store fronts. In recent months there has been speculation indicating they may be having trouble reaching that 65 percent goal and that's why they green lit IEC racing for the 2017 season. There is also speculation that says the 63 acre site has been placed on the real estate market again. Outlet Partners LLC has, understandably, declined comment on these two issues. The IEC treated their fans to a high quality 2016 racing season and, by the looks of their fully loaded 2017 schedule, we can expect more of the same this year. Happy new year IEC, we the fans are looking to the new season.